American actress, Rowan Blanchard, who is best known for her starring role as Riley Matthews on the Disney Channel series Girl Meets World. She portrayed Jackie Geary in ABC’s period sitcom The Goldbergs. Her appearance as Rebecca Wilson in the film Spy Kids: All the Time in the World fetched her a nomination for Young Artist Award 2012. Rowan Blanchard was born on 14 October 2001, in Los Angeles, California, USA. She’s Lebanese, Moroccan, Armenian, Syrian, Swedish, Danish, Norwegian, Portuguese, German and English. 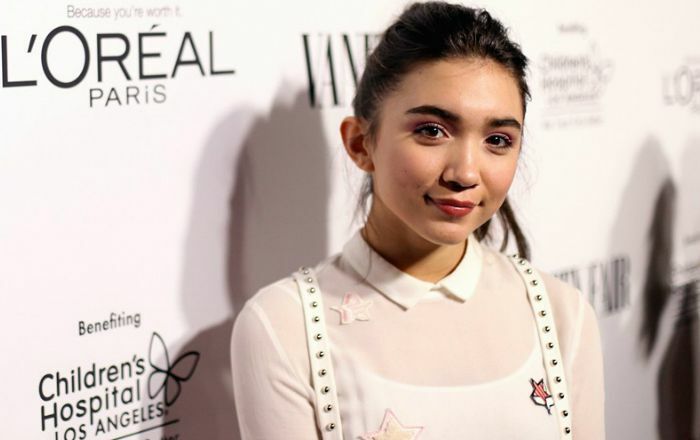 Rowan Blanchard hasn’t revealed anything about her affairs to the media. She was rumored to be dating Peyton Meyer in 2015. Her vital stats are currently unknown. Beginning her acting career at the age of 5, Rowan Blanchard was cast as Mona’s daughter in the 2010 romantic comedy film The Back-up Plan. In 2010, Blanchard was cast to play the main role of Catlin in Disney Junior Original Series Dance-A-Lot Robot. For her lead role as Riley Mathews on the Disney Channel series Girl Meets World from 2014 to 2017 and as Jackie Geary in ABC’s period sitcom The Goldbergs since 2017. Her net worth is estimated to be $3 million US dollars as of 2018. That money comes from film and TV appearances. She was named after a character in Anne Rice’s The Witching Hour. She started acting at the age of 5 years old. By 9, she began appearing in both TV shows and films. She is an active member of Disney Channel Circle of Stars. In 2012, she was nominated for Young Artist Awards in the category Best Performance in a Feature Film for her stellar performance in the film Spy Kids: All the Time in the World. In late January 2013, Rowan was cast as Riley Matthews in the Disney Channel series Girl Meets World. she has also lent her voice for the title song of this series, along with her co-actor, Sabrina Carpenter. In early January 2015, Blanchard was cast as Cleo in the Disney Channel Original Movie Invisible Sister. Rowan has a dog named Winston.